Jellycat Bashful Blossom Tulip Bunny is ready to hop into your heart! Tulip pink, with blossoms in her ears - she's the prettiest bunny in the briar patch! 12 inches. 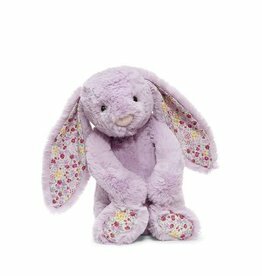 Jellycat Bashful Blossom Jasmine Bunny is ready to hop into your heart! Lovely in lilac, with blossoms in her ears - she's the prettiest bunny in the briar patch! 12 inches. 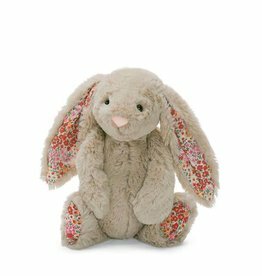 Jellycat Bashful Blossom Posy Bunny is ready to hop into your heart! Soft beige, with blossoms in her ears! 12 inches. 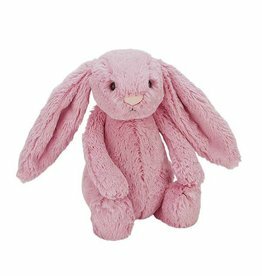 Jellycat Bashful Twinkle Bunny is ready to hop into your heart! Long, floppy ears with a twinkling of stars make him the brightest bunny in the briar patch! 12 inches. Jellycat Bashful Twinkle Bunny Musical Pull is swinging from a star! He plays a sweet little melody when pulled. 11 inches. 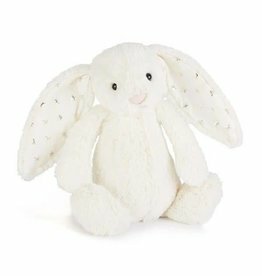 Jellycat Bashful Tulip Bunny is ready to hop into your heart! Long, floppy ears and a bushy little tail make her the softest bunny in the garden! 12 inches. 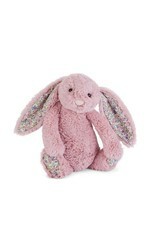 Jellycat Bashful Twinkle Bunny is ready to hop into your heart! Long, floppy ears with a twinkling of stars make him the brightest bunny in the briar patch! 7 inches. 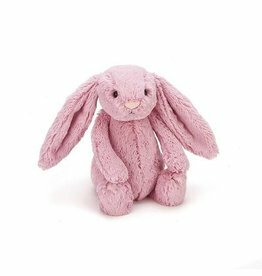 Jellycat Bashful Tulip Bunny is ready to hop into your heart! Long, floppy ears and a bushy little tail make her the softest bunny in the garden! 7 inches. 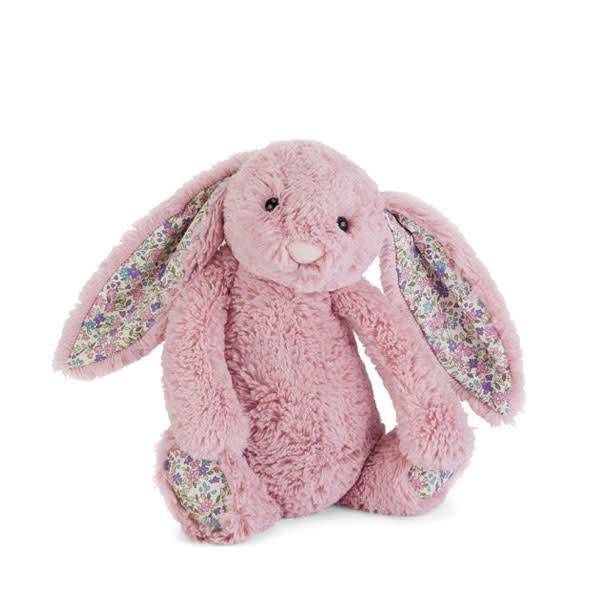 Jellycat Bashful Blossom Lily Bunny is ready to hop into your heart! Creamy-white fur, with blossoms in her ears! 12 inches.